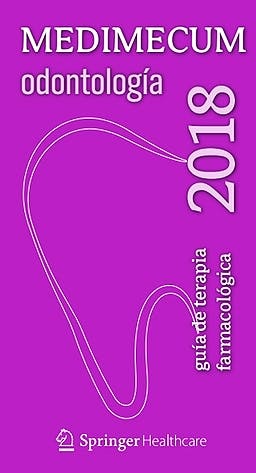 VADEMÉCUM DE BOLSILLO ACTUALIZADO ANUALMENTE QUE INCLUYE: INFORMACIÓN CLÍNICO-FARMACOLÓGICA, RIGUROSA Y ACTUALIZADA, SOBRE TODOS LOS FÁRMACOS COMERCIALIZADOS EN NUESTRO PAÍS, MEDICACIÓN EXTRANJERA Y FÓRMULAS MAGISTRALES DE USO HABITUAL. NOMBRES COMERCIALES, COMPOSICIONES, PRESENTACIONES, CARACTERÍSTICAS ADMINISTRATIVAS Y DE FINANCIACIÓN Y PRECIOS DE TODOS LOS PRODUCTOS. 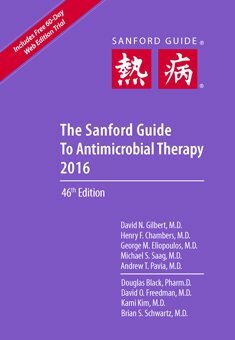 GUÍAS TERAPÉUTICAS BÁSICAS DE LOS PRINCIPALES SÍNDROMES Y ENFERMEDADES, URGENCIAS MÉDICAS Y OTROS DATOS ANALÍTICOS, FÓRMULAS, NOMOGRAMAS Y TABLAS DE USO CORRIENTE POR EL FACULTATIVO. 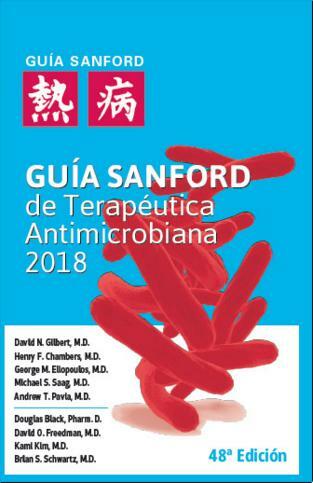 ELABORADO POR 200 PROFESIONALES (FARMACÓLOGOS CLÍNICOS, FARMACÉUTICOS, ESPECIALISTAS HOSPITALARIOS Y DE ATENCIÓN PRIMARIA) DE PRESTIGIOSOS CENTROS Y HOSPITALES UNIVERSITARIOS DE TODO EL ESTADO. EXTENSIÓN Y TAMAÑO: 1.600 PÁG., FORMATO BOLSILLO, ENCUADERNACIÓN DE TAPAS FLEXIBLES Y ENCOLADO ROBUSTO PARA USO DIARIO CONTINUO. NOVEDADES EDICIÓN 2018: MÁS DE 70 MONOGRAFÍAS DE NUEVOS FÁRMACOS Y ASOCIACIONES COMERCIALES DE RECIENTE COMERCIALIZACIÓN. SE HA ACTUALIZADO LA INFORMACIÓN REFERENTE A NUMEROSOS PRINCIPIOS ACTIVOS Y PREPARADOS COMERCIALES (NUEVAS INDICACIONES APROBADAS, MODIFICACIONES EN LA POSOLOGÍA RECOMENDADA PARA ADULTOS Y NIÑOS, NUEVOS EFECTOS ADVERSOS, PRECAUCIONES TANTO GENERALES COMO PARA POBLACIONES ESPECIALES, ASÍ COMO NUEVAS CONTRAINDICACIONES E INTERACCIONES A TENER EN CUENTA EN EL MOMENTO DE LA PRESCRIPCIÓN) Y TAMBIÉN SE HAN INCLUIDO ALERTAS DE FARMACOVIGILANCIA EMITIDAS POR LA AEMPS. 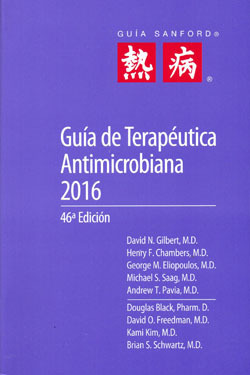 POR OTRA PARTE, SE INCLUYEN NUEVAS ASOCIACIONES DE PLANTAS MEDICINALES PARA TRASTORNOS DIGESTIVOS LEVES, UNA CHAPERONA FARMACOLÓGICA PARA LA E. DE FABRY DISEÑADA PARA UNIRSE SELECTIVA Y REVERSIBLEMENTE A CIERTAS FORMAS MUTANTES DE LA A-GAL A, UNA NUEVA FORMA RECOMBINANTE DE LA LIPASA ÁCIDA LISOSOMAL HUMANA COMO TERAPIA DE SUSTITUCIÓN ENZIMÁTICA, UN ANÁLOGO RECOMBINANTE DEL GLP-2 PARA EL SÍNDROME DE INTESTINO CORTO, UN NUEVO AGONISTA SELECTIVO DE LOS RECEPTORES DE PROSTACICLINA PARA HAP, UN NUEVO FACTOR DE LA COAGULACIÓN HUMANO PARA E. DE VON WILLEBRAND, UNA ASOCIACIÓN DE SS- BLOQUEANTE NO CARDIOSELECTIVO Y ANTIANGINOSO INHIBIDOR SELECTIVO DE LA CORRIENTE IF DEL MARCAPASOS CARDIACO PARA ANGINA DE PECHO CRÓNICA ESTABLE, UN NUEVO TRATAMIENTO PARA LA HIPONATREMIA ASOCIADA A SIADH, UN FÁRMACO CITOLÍTICO PARA LA ELIMINACIÓN DE LA GRASA SUBMENTONIANA, UNA NUEVA HORMONA FOLICULOESTIMULANTE RECOMBINANTE HUMANA PARA ESTIMULACIÓN OVÁRICA EN TÉCNICAS DE REPRODUCCIÓN ASISTIDA, UN ANTIESPASMÓDICO ANTICOLINÉRGICO PARA EL SÍNDROME DE VEJIGA HIPERACTIVA, UN AGENTE CALCIMIMÉTICO PEPTÍDICO PARA EL HIPERPARATIROIDISMO SECUNDARIO, UN TRATAMIENTO PARA RALENTIZAR LA PROGRESIÓN DEL DESARROLLO DE QUISTES E INSUFICIENCIA RENAL ASOCIADA A POLIQUISTOSIS RENAL AUTOSÓMICA DOMINANTE, NUEVAS CEFALOSPORINAS, UN NUEVO ANTIMICÓTICO TRIAZÓLICO PARA ASPERGILOSIS INVASIVA Y MUCORMICOSIS CUANDO EL TRATAMIENTO CON ANFOTERICINA B NO RESULTA ADECUADO, UNA NUEVA COMBINACIÓN DE ANTIRRETROVIRALES ANÁLOGOS DE NUCLEÓSIDOS PARA VIH, NUEVAS ASOCIACIONES DE ANTIVIRALES DE ACCIÓN DIRECTA PARA VHC, UN DERIVADO PEGILADO DE LA L-ASPARAGINASA CON MENOR INMUNOGENICIDAD Y PAUTA DE ADMINISTRACIÓN MÁS CÓMODA, UN ANTICUERPO MONOCLONAL DIRIGIDO A LA GLICOPROTEÍNA DE SUPERFICIE SLAMF7 PARA MIELOMA MÚLTIPLE, UN NUEVO TRATAMIENTO PARA EL SARCOMA DE TEJIDOS BLANDOS, DOS NUEVOS INHIBIDORES DE CDK4/6 PARA EL CÁNCER DE MAMA RH+/HER2-, UN INHIBIDOR DEL PROTEASOMA DE 2ª GENERACIÓN DE ADMINISTRACIÓN ORAL, NUEVOS INHIBIDORES DE LAS TIROSINQUINASAS RELACIONADAS CON ONCOGÉN BCR-ABL DEL CROMOSOMA PH+ PARA LEUCEMIA MIELOIDE CRÓNICA Y LEUCEMIA LINFOBLÁSTICA AGUDA, UNO DE LOS CUALES PERMITE SU EMPLEO EN PACIENTES QUE PRESENTAN LA MUTACIÓN T315I, UN NUEVO PREPARADO DE SUFENTANILO DE ADMINISTRACIÓN SUBLINGUAL, UN INHIBIDOR DE LA COMT DE TOMA ÚNICA DIARIA, UN NUEVO ANTICUERPO MONOCLONAL PARA EL TRATAMIENTO ADICIONAL DEL ASMA EOSINOFÍLICA GRAVE, UN AGENTE HIPEROSMOLAR PARA LA FIBROSIS QUÍSTICA, UN NUEVO CORTICOIDE DE ADMINISTRACIÓN INTRAVÍTREA PARA EL EDEMA MACULAR DIABÉTICO, UN INMUNOMODULADOR PARA QUERATITIS GRAVE EN ADULTOS CON XEROFTALMÍA, DOS NUEVOS INHIBIDORES SELECTIVOS DE LAS QUINASAS ASOCIADAS A JANUS PARA ARTRITIS REUMATOIDE, UN EXTRACTO ALERGÉNICO ESTANDARIZADO DE ÁCAROS DEL POLVO DOMÉSTICO PARA INMUNOTERAPIA SUBLINGUAL Y UN NUEVO MEDIO DE CONTRASTE PARA ULTRASONIDOS. 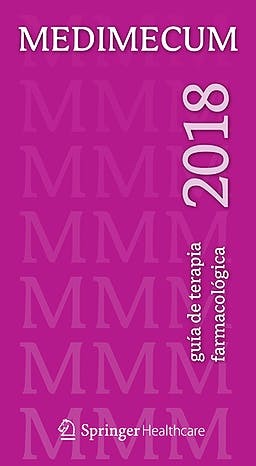 TAMBIÉN SE HA REVISADO Y ACTUALIZADO EL CONTENIDO DE DIVERSOS GRUPOS TERAPÉUTICOS Y TABLAS, ENTRE OTROS: FÓRMULAS DE NUTRICIÓN ENTERAL, SUPLEMENTOS NUTRICIONALES Y ESPESANTES, SOLUCIONES INTRAVENOSAS DE AMINOÁCIDOS Y LÍPIDOS, TRATAMIENTO DE LAS INFECCIONES BACTERIANAS MÁS FRECUENTES, TERAPIA DEL VIH (GENERALIDADES, PAUTAS DE TRATAMIENTO ANTIRRETROVIRAL, INTERACCIONES FARMACOLÓGICAS ENTRE LOS FÁRMACOS ANTIRRETROVIRALES Y OTROS FÁRMACOS, NUEVOS ANTIRRETROVIRALES), TERAPIA DEL VHC (NUEVAS ASOCIACIONES DE AAD) Y ANESTÉSICOS DE USO EN ODONTOLOGÍA. 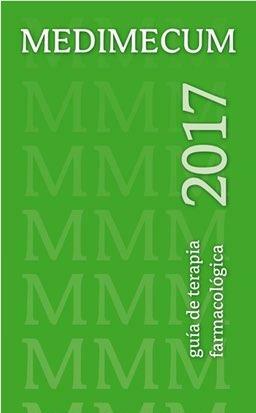 TAMBIÉN SE HA ACTUALIZADO EL APARTADO DE INTERACCIONES MEDICAMENTOSAS Y EL APÉNDICE CON LA LISTA DE SUSTANCIAS NO PERMITIDAS EN LA PRÁCTICA DE DEPORTE, SEGÚN LA RECIENTE RESOLUCIÓN DE 22 DE DICIEMBRE DE 2017.